Vinyl Windows, Whether Recycled or Not, Are Unsustainable. Period. | Enersim, Ltd.
Vinyl Windows, Whether Recycled or Not, Are Unsustainable. Period. In this article we have reviewed the sustainable use of polyvinyl plastics particularly as a material used in uPVC window frames. As mature students of the Masters Degree in Biomimicry at the Arizona State University in the US we applied, compared and contrasted the claims for use of green chemistry as a means for the practical and sustainable use of PVC. We applied Life's Principles, a set of principles and a living ethos, drawn from the 3.8 million years of best practise from Nature. Twenty six Life Principles are a discerning learning from the Biomimicry 3.8 Institute and are used as a guideline, framework and basis of principled thinking when designing new materials, products and processes or up cycling something that already exists in the human consumer world. Here, we take Life Principle's to one of the leading advocates of the green use of uPVC, that is Rehau United Polymer Solutions and their current practices for the continued use of PVC in window casings. There have been a lot of accolades in the vinyl window manufacturing industry regarding the extent of their recycling PVC, but the truth is that they create, promote and sell a petroleum-based product that is not conducive to life. Recycling is not a solution but merely a stall tactic to avoid making the necessary investments required to replace the petrochemicals with safe components. For example, Rehau United Polymer Solutions, recently won an award from BUILD magazine in recognition of their efforts for producing energy efficient building products with special attention being given to their TOTAL70 window product made with “…up to 100 percent post-consumer waste in the core, with only a virgin PVC-U casing”. While they’re accepting awards for recycling, they also vigorously defend their use of PVC claiming its environmental benefits, not adapting to changing conditions as more is known about the harms. This in spite of the fact that the State of California has identified PVC as a known carcinogen and the US Green Building Council discourages use of PVC products in their LEED green building certification program. Rehau states that PVC uses salt as its primary ingredient. The longer explanation is that they use chlorine in the manufacture of PVC, a corrosive gas which is a byproduct from the caustic soda manufacturing process using salt as a feedstock. This is greenwashing at its best. A growing number of companies like Lego, Ford, Dell Computer, Coca-Cola and others have made the investments and adopted use of bioplastics in their product lines. Gary Noble, president of Bioplastics Solutions stated that “PHA can replace PVC and match performance and technical requirements, but the cost is the major issue.” Demand for bioplastics is what’s needed to lower costs. Bioplastics currently make up only 1% of the plastics market. The TOTAL70 window product from Rehau, while it contains recycled PVC, is not truly evolving. Every time you recycle PVC, virgin additives have to be added to make the product reusable. Over time materials degrade along with performance and PVC is no exception. Recycling simply delays the inevitable, which is materials degradation to the point of unusability (end of life) followed by their disposal and subsequent release of toxic components into the environment. In its annual reports Rehau emphasizes growth, new markets, products, etc. They admit that global megatrends like sustainability challenges them and they invest ten percent of their budget in innovation. Rehau’s manufacturing plant does not use onsite renewable energy although they do purchase green energy credits. They are pursuing resource efficiency in energy and materials use, reducing primary energy consumption and CO2 emissions by 16.8 and 26.5 percent over two years, respectively. Rehau has adapted somewhat to changing conditions, namely EU mandated PVC recycling targets. This has been demonstrated by Rehau’s acquisition of two window recycling companies DEKURA and PVC-R. The company is locally attuned to matters of energy and materials as evidenced by their participation in a number of industry recycling initiatives including VinylPlus, EPPA and Rewindo. Rehau mixes their own PVC onsite and also capture and process waste cuttings during window frame fabrication. While the TOTAL70 window only uses recyclates in its core, the Epwin Group a UK competitor has manufactured complete window profiles using 100% recycled plastic. 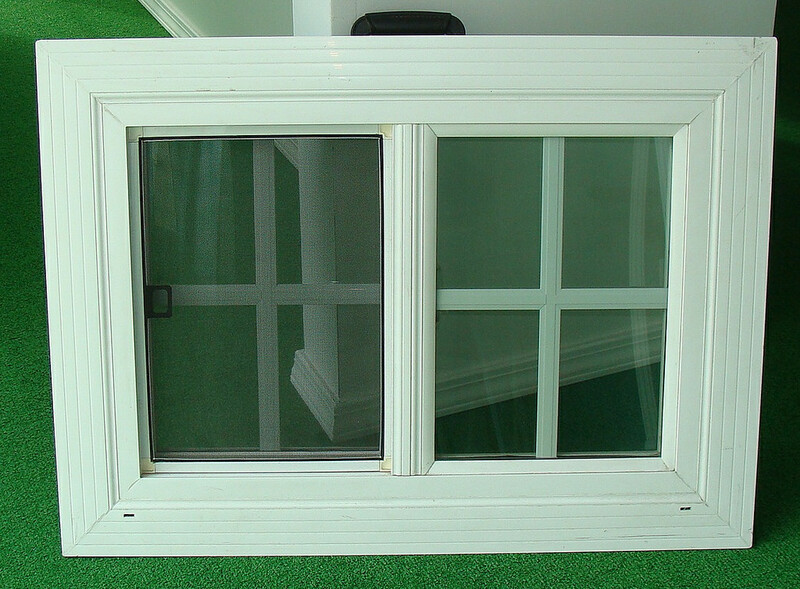 The TOTAL70 window product is multi-functional with modular and nested components, designed from the bottom up, has good weather resistance and builds on what works in the building products marketplace. Fitting form to function, Rehau’s offering comes in a range of colors, sizes and styles, and can readily accommodate double and triple pane glass. The TOTAL70 line smartly integrates development with growth across a range of window and door units available. Rehau’s product is responsive to changes in marketplace, like window thermal requirements in the Passivhaus® design standard. In terms of preparing for the future where petroleum is scarce and costly however, Rehau does not appear to be balancing growth with development of alternatives to petroleum-based polymers. Furthermore, it’s expected that in order to address climate change, costs for petroleum will skyrocket as governments impose carbon taxes and mandate conversion to clean energy economies. Over the long-term, the company needs to evolve if it is to survive. Rehau needs to integrate the unexpected of climate change and rather than dig in its heels, would be well advised to switch to bio-based polymers for its window manufacturing sooner rather than later in order to remain competitive and ahead of the curve. They may also wish to consider outsourcing their PVC mixing and bypass altogether the costs of retooling for bio-based polymers.